Your mornings are precious. 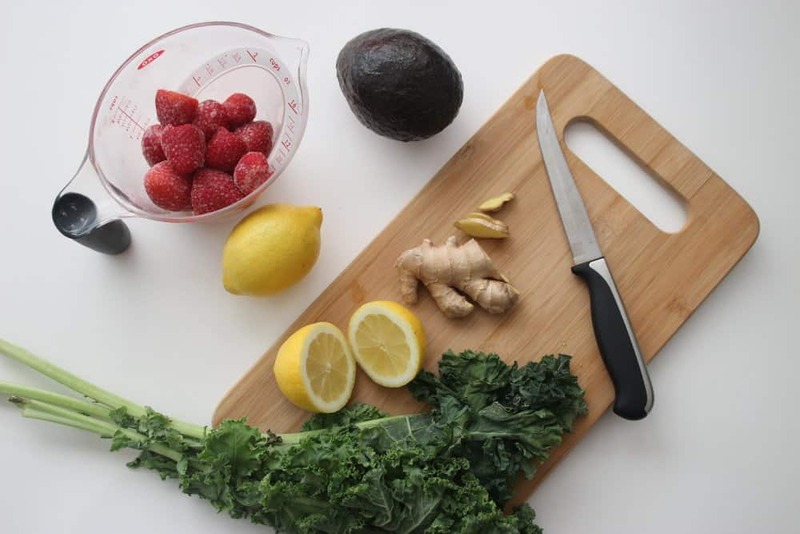 These green smoothie prep tips and tricks will help you make your power smoothie breakfasts for a week in just 15 minutes! Drinking green smoothies is great for effortless weight loss and more energy. They also make for an easy start to your day with breakfast on the go… but who’s got time to decide, gather and measure all the smoothie ingredients, and do everything else that you have got going in the mornings? What if you could shave off precious extra minutes in your morning routine each day, by just spending 15 minutes on a Sunday afternoon to prepare all of your green smoothies for the whole week? By focusing on this single task in a batch, you become much more efficient. Prepping ahead is key to reclaiming your precious time! 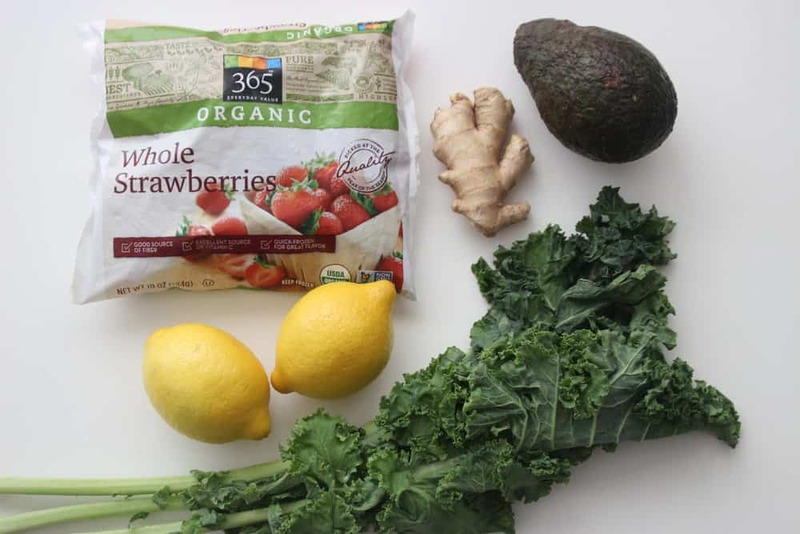 1: GATHER YOUR GREEN SMOOTHIE INGREDIENTS. Start by gathering and laying out all of the ingredients you’ll need to a make a week’s worth of green smoothies. 2: WASH, SLICE OR CUT FRUITS AND VEGETABLES INTO CHUNKS. I like to use frozen fruits as it can be more economical without sacrificing nutritional value. It also cuts down on the prep time as the fruits are already trimmed or cut. Try to buy organic fruits and vegetables, and skip peeling of vegetables and fruit skins where you can. The peels are usually high in nutrient density and full of healthy fiber. This also cuts down on prep time. 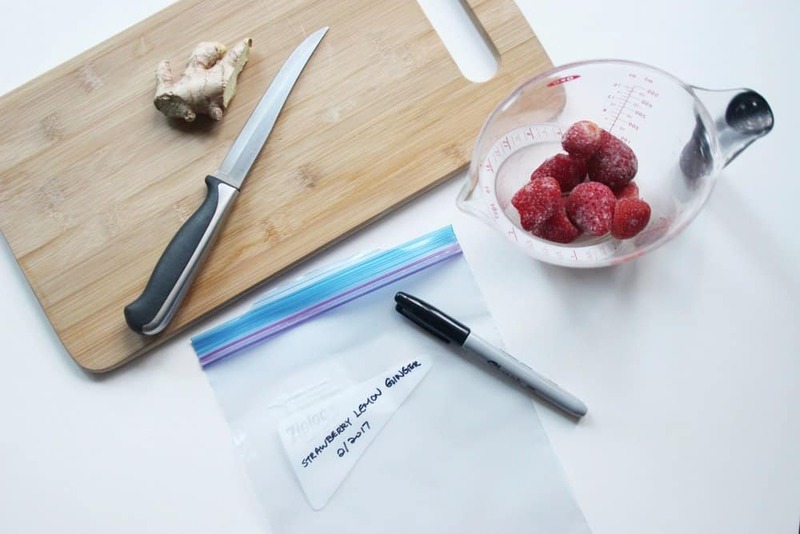 3: LABEL FREEZER BAGS OR JAR LIDS WITH NAME AND DATE. 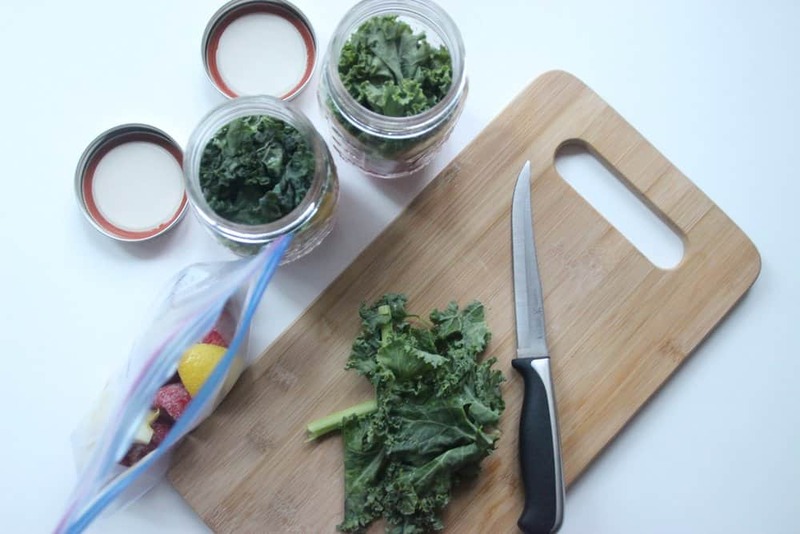 Write out the ingredients and dates for the green smoothie prep bag or jar for easy reference and tracking. 4: MEASURE AND DIVIDE THE INGREDIENTS AND PACK INTO BAGS OR JARS. You can add the same ingredients for each day to keep it simple, or you can mix and match different sets of ingredients for a variety of flavors. 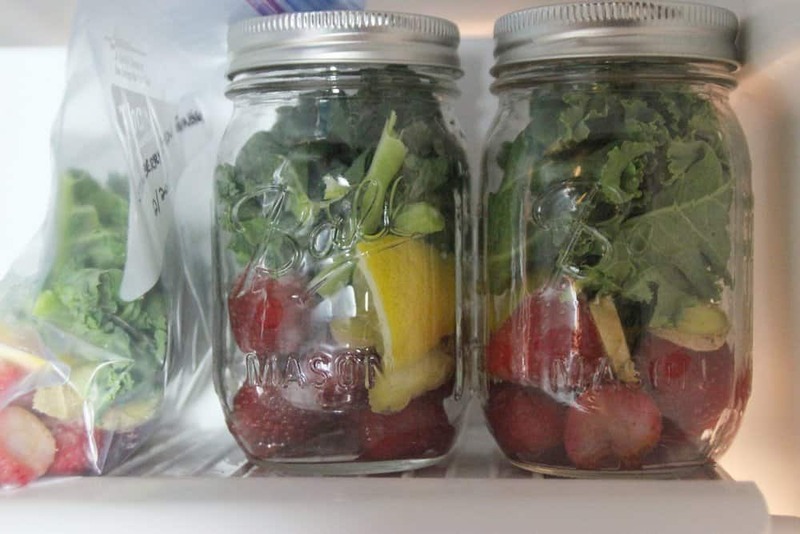 5: STORE GREEN SMOOTHIE PREP BAG AND JAR IN FREEZeR. Place the prep bags and jars in the freezer for storage. When you are ready to have your breakfast, just remove the content within your frozen prep bag or jar into your blender, add accompanying liquid base and start blending. Voila, breakfast is ready! Alternatively, you could blend up all the smoothies as part of the prep, pour them into mason jars and store them in the freezer. Then you can simply thaw your smoothie in the refrigerator the night before you’re ready to enjoy. There you have it, a healthy breakfast green smoothies every day for a whole week in 15 minutes! If you were spending 10 minutes each morning to prepare your green smoothies, that’s over an hour each week (10 minutes x 7 days) of hectic morning times you could shed each week! Feel free to prep for a month in advance all at once for even more time savings if you have the freezer space. What will you do now with your newfound time in the morning?